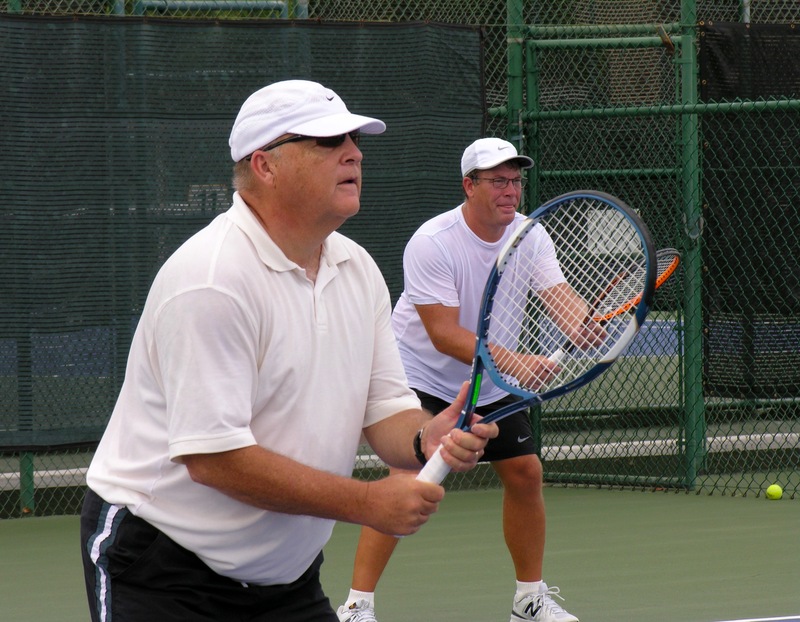 The Tucson Racquet Club offers a full range of “Adult Clinics” to satisfy the needs of every player. Whether you are a beginner needing to learn the basics or a nationally ranked tournament player, we have the right program and convenient schedule for you. Our clinics cover the entire spectrum of development including detailed instructions, drill, movement, cardio, play situations, strategy and supervised play. 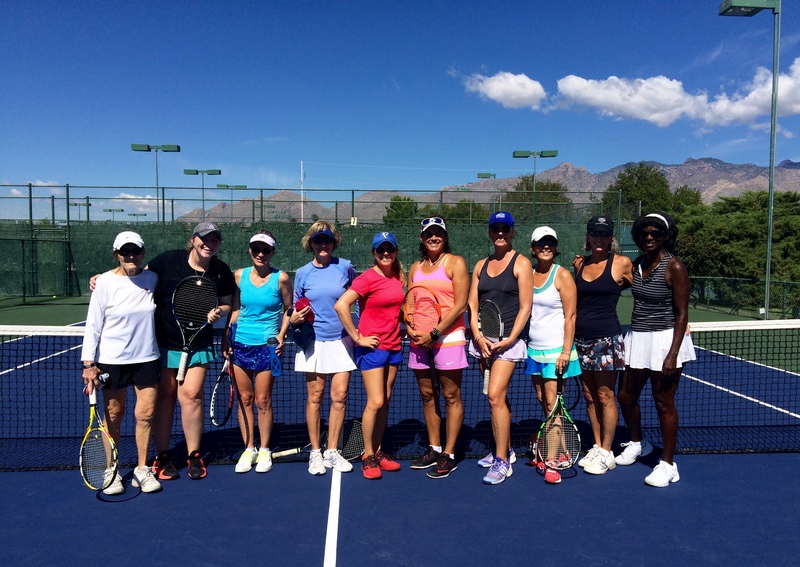 Tucson Racquet Club is the leader when it comes to forming and organizing USTA League Teams. USTA Leagues run year round and offer 18 & Over, 40 & Over, 55 & Over and 65 & Over gendered leagues. There are also mixed doubles leagues in the 18 & Over and 40 & Over age categories. Click here for more information on USTA Leagues in Tucson! Special Guest Pro Appearances like Master Doubles with Gigi Fernandez! A 90 minute clinic focusing on court coverage, doubles movement, point strategy and team dynamics. Choose your favorite pro or two and set up a day and time. Available pros: Nelson, Brian, Gregg, Tad, Scott or Rita. Only $20 per person per clinic. Contact Gretchen Schantz for assistance in setting up a pro, day and time. The perfect clinic for anyone looking to try this amazing sport for the first time, or just looking to get back into the game. Learn the basics in this drill format clinic with USPTA Certified Coach Scott Mantelman. Rackets are provided! This clinic introduces more strategy and live ball play at an advanced beginner level with USPTA Certified Coach Scott Mantelman. A great clinic that will teach you the finer points of doubles strategy. Learn to move as a team, implement point strategies, make better shot selections and expose your opponents weaknesses. Monday 8:30am-9:30am *Moves to 7:30am May 1st Open to all levels. Just Drop In! Every week Rita will focus on a different part of your tennis game such as top spin, slice, drop shots and lobs. Everything you need to become the well rounded tennis player you’ve always wanted to be! Monday 6:30-7:30 p.m. Open to all levels. Just Drop In! Coach Alan Barrios is back!! He is famous for his high intensity clinics, incorporating strategy and live ball play. Tuesdays 8:30-9:30 a.m. Open to all levels. Just Drop In! Guaranteed to make you work hard. Developed to keep you moving and hitting live balls with other high level players. Perfect for beginner to low intermediate players. Covers the basics of tennis from stroke development, footwork and point playing. Play social tennis with great instruction from Nelson during Friday night happy hour! Friday 6:30-8:00 p.m. – Drop in! We saved the best clinic for the weekend. Work on your doubles strategy with this drill based clinic. All you need is an hour to learn something new and then go out and practice it! Don’t forget to apply your new skills! The Tucson Racquet and Fitness Club offers a full range of tennis activities to challenge all players from novice to the advanced tournament player. USTA Leagues are offered year round. Click here for USTA Southern Arizona League Info! Tons of Fun Fundraiser Tournaments and Special Events. 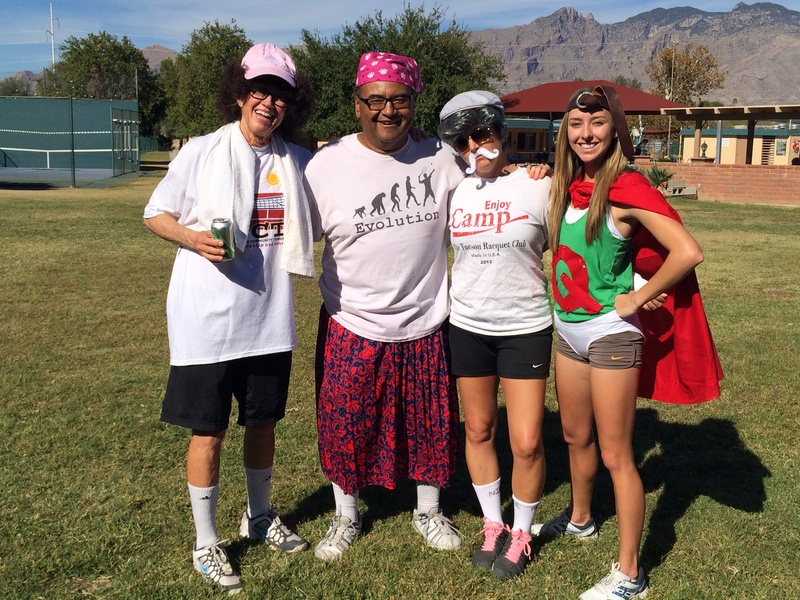 Triple Crown (Pickle Ball, Beach Tennis & Tennis), Halloween Mixers (pictured right) and much, much more!